Donate and be entered to win adventure themed prizes. Give platelets 4 times Feb.1 – Apr. 30, on Fridays through Mondays and we’ll send you a promo code for premium Bloodworks items. With a shelf life of only 5 days, there is a constant need for platelets year-round. Thankfully, platelets can be given every 7 days and up to 24 times a year. Learn more! In the spirit of the People of Action initiative, Rotary District 5030 has formed a new partnership with Bloodworks Northwest to not only raise awareness of the need for local blood donors, but to lead by example and host a series of blood drives. Learn more! Join us for a special evening celebrating 75 years of Bloodworks Northwest, honoring our strong partnership with the community as look forward to the next 75 years of innovation and discoveries. Learn more! Bloodworks is proud to announce the 5th Annual Northwest Transfusion Symposium. Please join us for a day of learning centered around transfusion medicine topics, continuing education, and networking opportunities relevant to physicians, nurses, laboratorians, and blood bankers. Learn more! Bloodworks Northwest issuing urgent appeal for donors after inventories of Group O blood dipped sharply. Is the Nation’s Blood Supply as Important as the Opioid Crisis? Top Federal Health Officials and Blood Banking Leaders Say Yes. US health official and Bloodworks Northwest CEO tell Congress the need for more young donors has never been greater. The snowstorm and icy roads that closed schools and many businesses on Monday also put a major dent in the local blood supply, according to Bloodworks Northwest. At emergency level—less than a one‐day supply—donors are urged to make an appointment as soon as possible before the second winter storm hits. 1,500 collections lost in last 3 days due to cancelled drives and appointments. Bloodworks Northwest is bracing for a big dip in holiday donations and asking people to give blood during the next 10 days. Starting November 22 and extending until New Year’s 2019, Bloodworks is increasing hours at its donor centers to encourage donations. Most centers will be open on Thanksgiving Day with cozy offerings for donors. 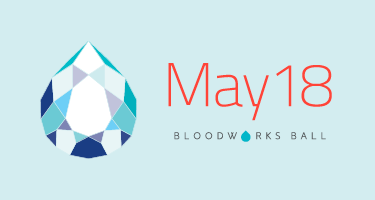 World Blood Donor Day is an annual event thanking active blood donors and encouraging new donors, especially younger people and those unfamiliar with how organizations like Bloodworks Northwest collect lifesaving blood for patients. The cumulative impact of an early Easter and widespread spring break vacations has triggered a special appeal to donors to help meet urgent patient needs in Northwest hospitals. According to AABB, millennials account for only about 20% of collections. Nearly 60% of all blood donations come from people over 40, and people over 50 years old make up a disproportionate share of regular donors. Bloodworks is ‘going to where millennials are’ as the way to engage this missing generation of donors. Bloodworks Northwest issued an urgent appeal for donors today following the derailment of an Amtrak passenger train between Tacoma and Olympia that is making major demands on the community blood supply. Bloodworks has issued more than 150 units of blood to respond to emergency orders from hospitals receiving people injured in the tragedy. Bloodworks Northwest has issued a special appeal asking people to schedule a blood donation during the next 10 days. Starting on November 20 and extending until New Year’s 2018, Bloodworks is increasing hours at its donor centers to encourage donations. This year marks the 20th anniversary of Bloodworks Northwest Cord Blood Services that collects umbilical cord blood in delivery rooms of local hospitals after new mothers have given birth. Bloodworks Northwest is urging blood donors – especially young donors – to pump some iron – no trip to the gym required. Bloodworks Northwest has issued an urgent appeal for donors to help build local inventories in order to be ready to respond when shipments are needed to help victims of Las Vegas shooting. The National Heart, Lung and Blood Institute of the national Institutes of Health (NIH) has awarded a grant of $12 million to James C. Zimring, MD, PhD of Bloodworks Research Institute. Bloodworks Northwest sent an emergency shipment of blood components to the Gulf Coast Blood Center in Houston, and to Carter Blood Center in Dallas. Bloodworks Northwest issued an urgent appeal for donors today after supplies fell to emergency levels – a one-day supply or less. Normal inventory is a four-day supply. Bloodworks Northwest has issued an urgent appeal for donors after collections began to dip sharply as a result of the mounting heat wave. 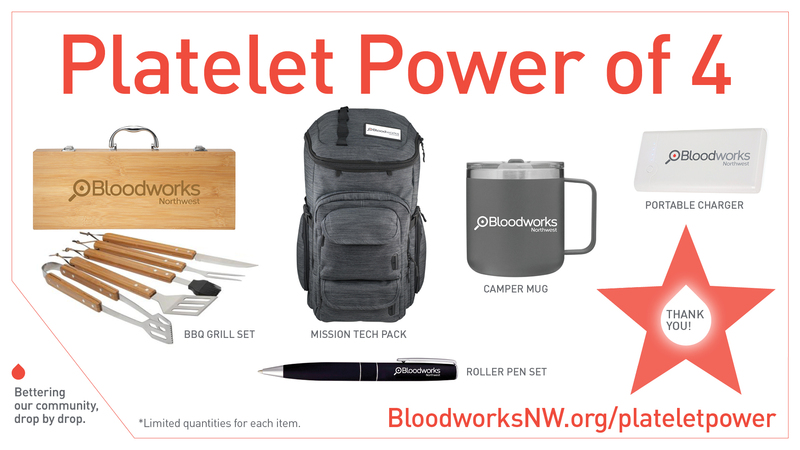 Bloodworks Northwest issued an urgent appeal for donors after the community supply for Type O blood — the most common blood type among people in the Northwest — plunged by 37% since the beginning of July. When asked what the badges on his Boy Scout uniform represent, Seth Baker starts naming them off.